furore that followed its implementation. The Canons had decreed that opposition to the Liturgy, because it was contrary to the Scriptures, would be grounds for excommunication; and failure to use the Liturgy would be punished by deponement. There had been strong criticism of the Canons but the issues came to head with the Liturgy which was widely declared to be ` popish`. Amongst other things the procedures offended the people by calling the table the “altar“ and the minister standing with his back to the congregation when consecrating the communion elements. The calendar of events included commemorative dates of mediaeval saints which had long been cast out by the Presbyterians. Coming on top of the Articles of Perth in 1618, and the Canons in 1636 the resentment of the ministers and people to the Liturgy reached boiling point. The next day protestations against the Service Book were made to the Lord Chancellor by the `men, women, children and servants of Edinburgh. and also by `the Noblemen, gentrie, ministers, burgesses and commons` . Thirty eight noblemen and hundreds of ministers and gentlemen from all over Scotland (except Aberdeen) subscribed to the petition. At one stage the ladies of Edinburgh seized Sydserf, Bishop of Galloway, as he was making his way to the Law Courts and proceeded to disrobe him to see if he was carrying a Romish cross; he was saved the ultimate ignominy of nakedness by arrival of some colleagues who were able to intervene. The protest by the people cleverly used the law whereby their accusation against the prelates was a formal Protest that required a hearing by the courts. They did however, compromise and agree to withdraw from the city leaving behind a committee or commissioners to look after their interests. Next came the setting up of the representative `Tables` and the co-ordinated action by the people. The scene was now set for a head on clash with the Privy Council and the King who declared on 19 February 1638 at Stirling, that the Canons and Liturgy were by his Order. He also declared that protests and meetings against them were rebellion and that petitioners were banned from any place where the Privy Council was in session, on penalty of treason. The immediate response was the reading of a formal Protestation at the same Cross of Stirling, probably by Archibald Johnstone, and in the presence of Lords Lindsay and Home who had ridden hard from Edinburgh to be there in time. The Kings Proclamation was in effect his acceptance of the allegations of misgovernment and a declaration of war. A similar Protestation was read in Edinburgh on 22 February when the Heralds were forced to remain at the Cross and listen; that day Alexander Henderson and Archibald Johnston were enjoined to draw up a Covenant. The National Covenant was declared, read and subscribed on 28 February 1638 at Greyfriars Kirk. The document was part drafted by Alexander Henderson who had been previously put to the horn by the Archbishop of St Andrews for refusing to buy and use the Liturgy. Preference for the doctrine of free will, ie that God`s salvation was open to all and could be won by good works on earth. This was in direct contrast to Calvinism and its belief in predestination. The emphasis of church services should be towards the sacraments and ceremony, and away from preaching and sermons. It favoured the wearing of elaborate vestments, the use of images and the restoration of stained glass windows in churches. Altars should be re-sited in a central place in churches at the east end, not in the nave. This meant some re arrangement of family pews which caused great offence. The clergy to play a greater role in lay affairs and the power for church courts to intervene (interfere) in secular affairs. 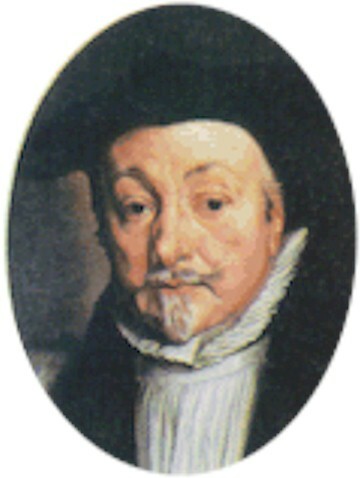 Although accused of being a papist, Laud came to prominence with the support of the influential Buckingham family and was a prominent opponent of the increasing catholic presence at the Court. His opponents especially resented his drive to secure the benefices of the church (much of which were impropriated by the nobility) for the clergy and insistence that ministers be properly funded; this included proper stipends for appointments made under patronage. Other issues such as improving the quality and status of the clergy, ministers and bishops, were resented by the nobility and genteel landowners who regarded the prelates as upstarts.